Happy Earth Day from the City of Cleveland! Today is the 45th Earth Day and the City of Cleveland is celebrating the environment locally, across the country, and around the globe. This rain barrel, supplied at no cost to Cleveland residents, can help cut water bills and reduce pollutants in the drinkable water supply. As part of Mayor Frank G. Jackson’s Sustainable Cleveland 2019 initiative, the City of Cleveland is encouraging everyone to take action at home, at work and in the community to make Cleveland a more thriving and resilient city. Today, President Obama announced a special initiative that would help make the Great Lakes more resilient to Climate Change by conserving and restoring important lands and waters. This initiative will focus on increasing coastal resilience, developing coastal wetlands and marine conservation areas, protecting drinking water for urban areas, providing wildlife habitats, and preventing threats like flooding and invasive species. Similarly, the City of Cleveland Office of Sustainability has declared 2015 as the Year of Clean Water and has provided many ways for individuals to get involved in helping to keep waterways fishable, swimmable and drinkable. Kick the Bottled Water Habit! 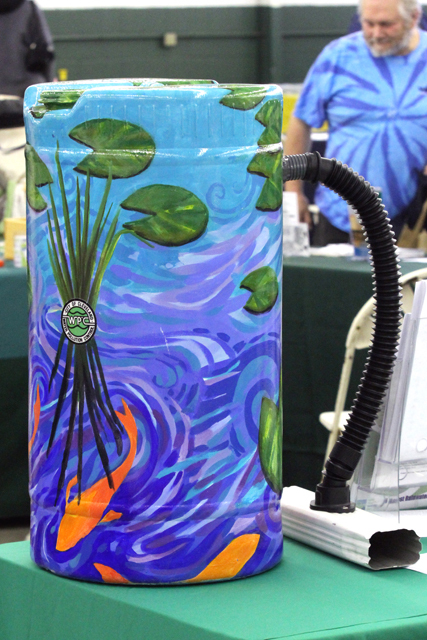 One of the collaborative projects initiated by the Year of Clean Water Working Group is a Pledge to Reduce/Eliminate Plastic Water Bottles at events and meetings. Click here for more information and sign this pledge and help promote Cleveland’s tap water at your events and reduce waste. Take a tour and enter to win big! Celebrate the Year of Clean Water and enter to win big in the Clean Water Tour & Sweepstakes! From January through October 2015, Year of Clean Water partner organizations are hosting a series of fun, family-friendly, and educational events that highlight local efforts to keep our water drinkable, swimmable, and fishable. Attend any of the listed events for a chance to win the grand prize or one of many family fun prize packages. The more events you attend, the greater your likelihood of winning! Visit the Cleveland Water Alliance’s website to learn more! To learn more about getting involved at home, at work, and in your community on clean water, click here. Earth Day is every day in Cleveland. Check out our calendar to learn how to get involved all year long!